It's a stunning valley full of beautiful slides and waterfalls. 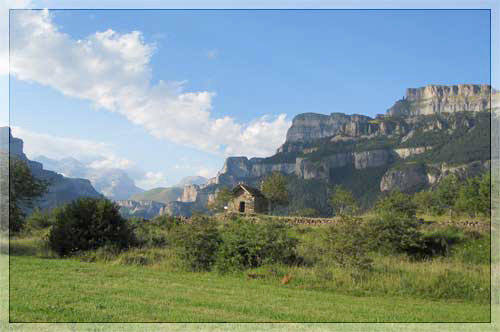 The 13-km journey starts in Escalona via a road that runs through the impressive gorge of the river Bellos At its headwaters, a glacial Cirque is encased in the deep canyon of Añisclo. 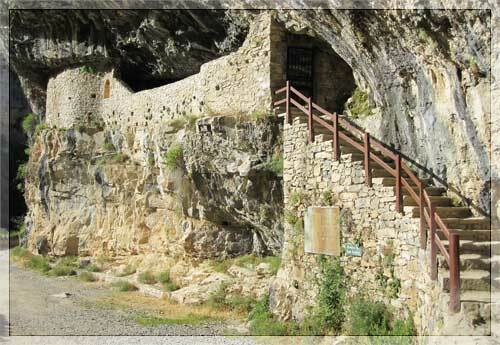 Following the road we reach the car park of the Hermitage of San Úrbez. From there, crossing the Romanesque bridge, we can approach the hermitage, built on the walls of the mountain and sheltered by a small cave. Access point: The road to the Añisclo Canyon is one way during the summer and Easter months. One can return by taking the road from Buerba to Puyarruego and from there again to Escalona.